Understanding voltage drops and resistors is fundamental to almost every electronic concept, and that’s because almost every circuit contains a resistor, and across every resistor is a voltage drop. Everyday, electronic technicians, electrical engineers and automotive mechanics depend on their understanding of voltage drops and resistors to do their jobs. Understanding voltage drops and resistors is not difficult. It is often introductory material in beginning high school and college electronic classes. You will, however, need to know basic math. Understand what the maximum voltage drop in a circuit will be. The simplest circuits, namely, circuits that just have a battery and a few resistors in the them, cannot have a voltage drop across any resistor that is higher than the battery voltage of a circuit. Placing components in a "series" circuit means each component--a resistor, inductor, a voltage supply (battery), etc.--is connected end-to-end, all in a row. In a parallel circuit, each end of the components are connected directly to the two corresponding ends of another components. For example, to connect two batteries and a resistor in series, connect the positive terminal of one battery to the negative terminal of the second battery. Next, connect the positive terminal of the second battery to one end of the resistor. Then connect the other end of the resistor to the negative terminal of the first battery. The three components are said to create a "series" circuit. To connect two batteries in parallel, connect the two positive terminals together and the two negative terminals together. To add a resistor in parallel to this parallel battery combination, connect one end of the resistor to the positive battery terminals and the other end of the resistor to the negative battery terminals. 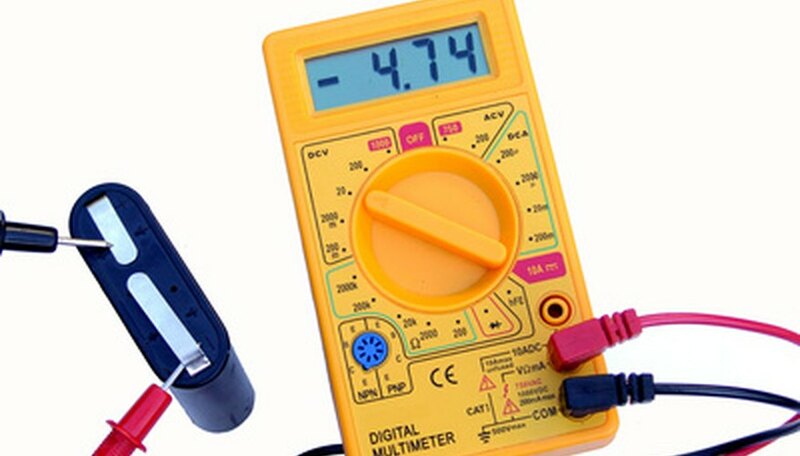 Measure the voltage across components connected in parallel and you'll find that the voltage across each component is the same. 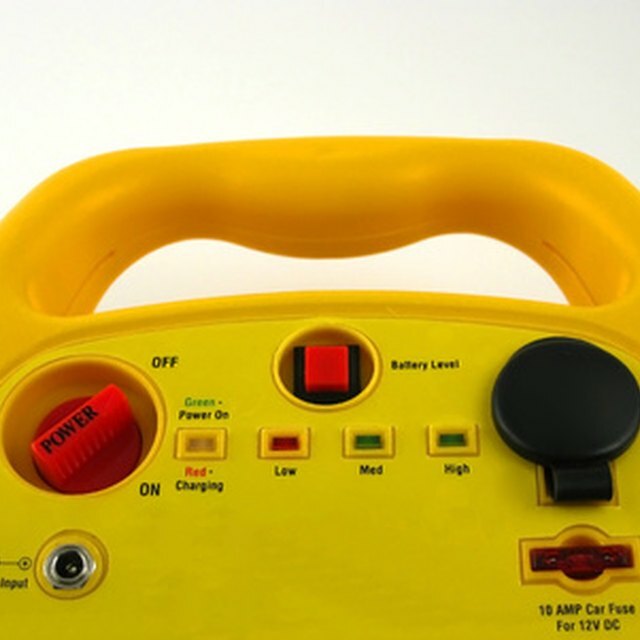 If a 5-volt flashlight battery is connected to five resistors in parallel, the voltage across resistors 1, 2, 3, 4 and 5 would all be 5 volts. Measuring voltage drops across resistors in series will be additive and proportional. In a series resistor circuit, the sum of the voltage drops across each resistor will be equal to the voltage level of the power supply that they are powered by. For example, if a circuit contains a 5-volt battery connected to two resistors in series that have the same resistance value, the voltage drop across each resistor would be the same, 2.5 volts, since 5 divided by 2 is 2.5. If the resistors have different resistance values, the voltage drop (the voltage measured across each individual resistor) will be different, but the sum of the two voltage drops will equal the supply voltage. Consider a series circuit where a 10-volt battery is connected across two resistors in series, called Resistor A and Resistor B. If Resistor A has a resistance of 4 ohms, Resistor B has resistance of 6 ohms, the voltage drop across Resistor A would be 4 volts. Similarly, the voltage drop across Resistor B would be proportional to the value of Resistor B, namely, 6 volts. Stansberry, Mark. "How to Understand Voltage Drops & Resistors." Sciencing, https://sciencing.com/understand-voltage-drops-resistors-6186442.html. 24 April 2017.